Dr. Allison Rathmann, DO, has been warmly welcomed onto the Physician Board of the well-renowned American Health Council. Dr. Rathmann has worked in the healthcare industry for 10 years and has been working for Advanced Neurosurgery Associates (ANA) for the last three years. 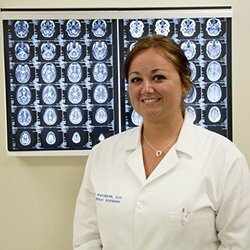 Dr. Rathmann, of Wayne, New Jersey, has had an ingrained desire to learn about the intricacies of the brain since childhood. She discovered this passion when she studied psychology during college. Initially, she gained her DO from the New York College of Osteopathic Medicine in 2007. It was during her residency that she uncovered her desire to study neurosurgery through motivation from her trainer and current employer. She completed neurosurgery residencies at both Saint Barnabas Medical Center and Hackensack University Medical Center in 2013. In addition, she has also completed a pediatric neurosurgery fellowship at The Cleveland Clinic. This clearly illustrates the expertise possessed by Dr. Rathmann in this field. She is also certified by the ABOMS. Advanced Neurosurgery Associates (ANA) are dedicated neurological specialists who are well equipped to treat a wide variety of disorders for both children and adults. Alongside this, they provide support for the families also affected. ANA are passionate that they always treat every patient with the utmost respect as well as utilizing the latest advancements in treatment to remain at the forefront of innovation. In both pediatric and adult neurosurgery, ANA are second to none as they are not only highly acclaimed locally, but also on a national and global stage. ANA treat every patient personally by providing a tailored service specifically for that individual and their family. With almost 60 years of combined experience, they are equipped to care for a broad range of neurological disorders and will work together to deliver the best care possible for all patients. 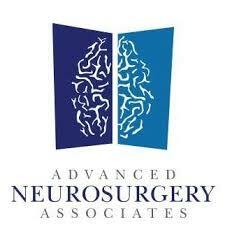 Not only specializing in neurosurgery, they focus on delivering top-quality patient care. Dr. Rathmann’s role specifically includes executing both adult and pediatric neurosurgery and looking after individuals with spina bifida. Dr. Rathmann also assesses patients for different possible spine and brain conditions as well as performing daily rounds. In the country, only 219 female neurosurgeons are board-certified, and Dr. Rathmann is proud to be one of them. This equates to only 7% of the estimated 3,00 board-certified neurosurgeons. In addition to this, Dr. Rathmann has been recognized for her excellence as she was awarded Top Doctor in 2017. To further her knowledge, Dr. Rathmann is a member of a number of prestigious organizations. These include The American Osteopathic Association, The American College of Osteopathic Surgeons, The American Academy of Neurology, Women in Neurosurgery and The New York State Osteopathic Society. Dr. Rathmann credits these achievements to the continual assistance she has received from her colleagues, family and mentors. Without this support, she would not have achieved these successes. Presently, Dr. Rathmann is 15 weeks pregnant with her first child, a daughter. To relax, she loves to spend time with her boyfriend and her dog. In addition, she enjoys giving back through organizations such as the Ottawa City Commission. In the next five years, Dr. Rathmann hopes to become specialist in this niche field and continue broadening her knowledge and refining her expertise. Advanced Neurosurgery Associates (ANA) provides world class care for a comprehensive range of neurological conditions for adults, children, their caregivers and families. ANA combines compassion with the latest research and technology in neurological medicine in providing the most effective, state-of-the-art treatment available. With finessed skill, an expert level of knowledge, and almost 60 years of combined experience, the ANA medical team diagnoses and surgically treats individuals suffering from a spectrum of neurological conditions. The ANA surgeons, all trained at major academic institutions, work in a collaborative team effort to provide the highest standard of care in a community setting.